Artemis awoke exactly at 7:00 AM on a daily basis. She was not aware of the time due to the fact that dragons did not have ways of telling time in a numerical fashion, though it felt natural and it was perfect. She was able to see the dawn sunlight and the beautiful colours of the sky. Today she had awoken to find a beautifully painted canvas of blue, pink, and orange colours. It was all mixed together, varying in gradients and shadows. Artemis sighed and stood up, ensuring to grab a few scrolls before she left. And, spreading her wings and leaping out of her den, she exited with bright light shining across her white scales. The dragoness had a specific schedule she followed, this was included. Her silvery-blue gaze intelligently flew around, her eyes searching for a perfect studying spot. She needed a place void of dragons, of prey, of idiots. It had to be safe. A perfect spot showed itself. Below Artemis was a spot with bright grasses and small flower patches, trees entangling nearby to form a forest. She closed her wings and fell from her hovering, reopening them a moment later for a smooth fall. "Ah, at last. A bright spot that is for now, the best possible reading place. Artemis stated, sitting down. Artemis had a specific way of doing this. She would sit down, her posture completely straight. Her tail would be curled on her left side. Her right paw resting atop her left paw unless she had to use them. In this case, she unrolled a scroll and kept her paws on the parchment in order to keep it from closing back up. Artemis is a young, frail dragoness. Her body is thin, due to her constant judgement of fighting. When she is unfortunate enough to be caught by a so-called "barbaric disgusting hound" in a fight, she escapes quickly. She is not used to physical activity. Her usual daily activities consist of the Hunt, reading, and finding heavily visited locations to insult dragons for no reason. But a flock of loud pterosaurs interrupted her moment. It was not until then that dinosaurs of many different kinds (except triceratops) started stampeding through, interrupting her reading. 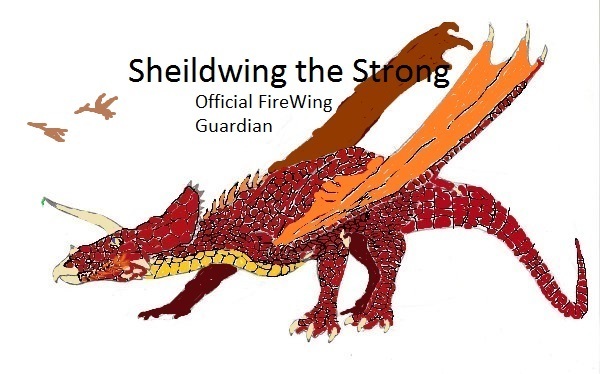 Sheildwing then appeared behind the stampeding herd. He looked down at Artemis below. "Oh hi, sorry for the stampede! Please don't mind this!" he said, and then kept flying off, herding the dinosaurs to the plains. Keroro awoken by the thunderous sound that the stampede has made, quickly flew up to the source. "Keroooooooooo! What do you think your doing!? Some people are still sleeping at this early hour! How am I suppose to craft fine blades, and armor if I can't even get decent sleep! Kero!" He scolded the two dragons below him, thinking that they were both involved. Artemis raised her head as two dragons appeared at her studying spot. "Go away. Can't you see I am trying to read? Idiot!" She hissed, glaring at the earthy dragon flying above her. "Now shut your maw!" She said loudly, gathering up her scrolls and standing up. "I am going about my normal schedule!" She stated and looked at the other dragon, who was herding wild beasts. "And you! Stop being a disgusting barbaric hound and get those creepy things away from me!" The dragoness hissed, staring at the dinosaurs. Keroro flew down to the dragon below and put his face up into hers. "You have a big mouth for a little dragon that I can oh so easily step on. I'm four times larger then you! You shut your maw! Also, sorry for thinking that you brough the darn beasts here! I want to rid of them too, also I am a sergent of an alien army so you better watch it!" He screamed down into the small dragon's face. He already had the vibe of how annoying she was. The small, medium, and large dinosaurs have cleared, but now it was just sauropods stampeding down, causing even more racket. Pterosaurs also started to come in.